Pro Shift Kit and race prep clutch plates. false neutrals - fix in an hour. Phenomenal? - Delimit your trackday or race bike. "Phenomenal"? That may be pretty impossible to do on a 300 with an ecu reflash! But when you are talking small displacement bikes, a 2 to 4 hp increase in part throttle, midrange or peak power might easily be 5% to 10% better than a stock or inelegantly reflashed ecu. 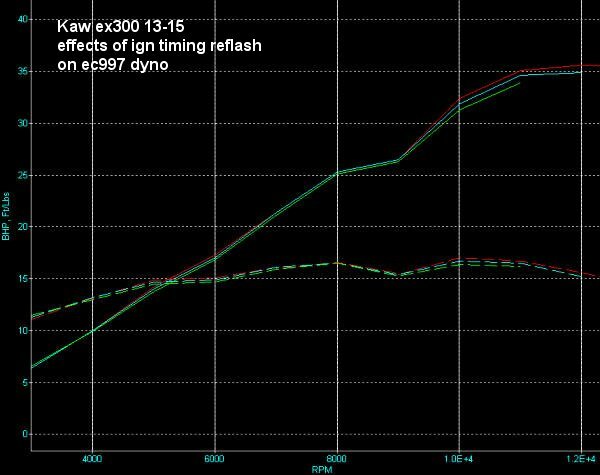 Some things are not possible to tune on a dyno and require track feedback to refine - that's why a simple "delimited" ecu reflash doesn't provide that last 10% of power or silky driveability that a track refined ecu reflash provides. We have all learned that each bike, even with the same aftermarket parts, requires different mapping than it's identical twin bike. That's why when someone "downloads the perfect mapping" off of some website for a pc or Bazzaz, that it only has a 10% chance of being perfect "on YOUR bike". With 35+ years of tuning experience, Factory Pro knows the key to silky smooth and strong running - That's why we do tuning for people all over. Except CA streetbikes. I wanted to let you know that I took 3 championships in 2017: Nv 250 SBK, Lightweight Twins, and World SuperSport 300. Also, I finished 2nd in 350 SuperStock and 3rd in Formula III. In the total novice points race, I was 7th overall (out of about 100+). I also wanted to say thank you again for the support this year, and I am looking forward to next season. Marc Salvisberg knows his stuff. He made my stock ninja 300 into a two class championship winning machine. After Marc tuned it I never finished less than third place. Hope all is well. 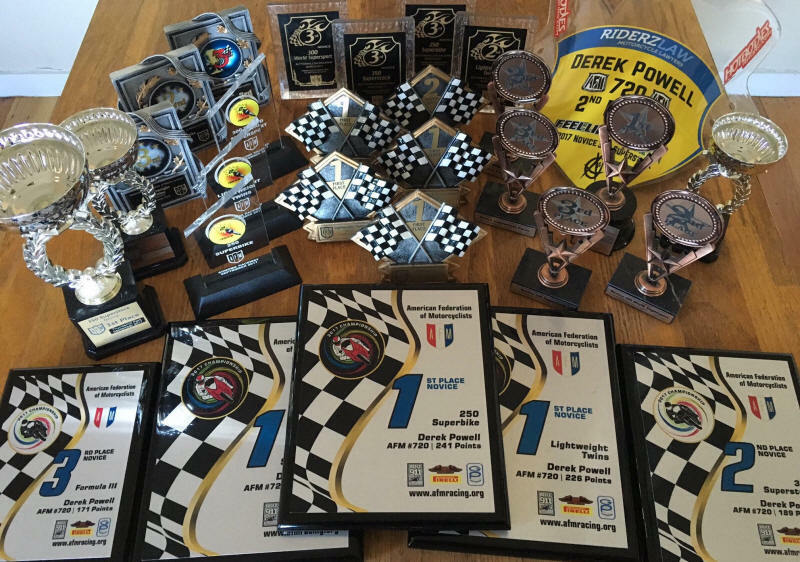 We had a very successful season on the LW300s. Won the TrackAddix season Championship, our bikes went 1-2-3. 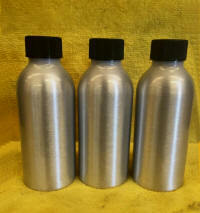 Also swept the podiums 1-2-3 at Road America and Daytona in LWTB, and LWGP. 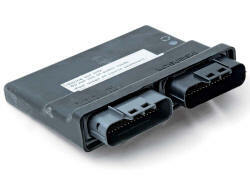 Nice work on the ecu flash, it is an important part of the build. with your Power Commander + race only reflash. Improve lazy shifting - virtually eliminate missed shifts - virtually eliminate false neutrals - help prevent gearbox damage caused by missed shifts. Note: Make sure to adjust Quickshifter kill duration shorter to match quicker shifting- or you will still miss shifts. installed the detent arm and spring today. THANK YOU THANK YOU THANK YOU for coming up with this amazing little mod. 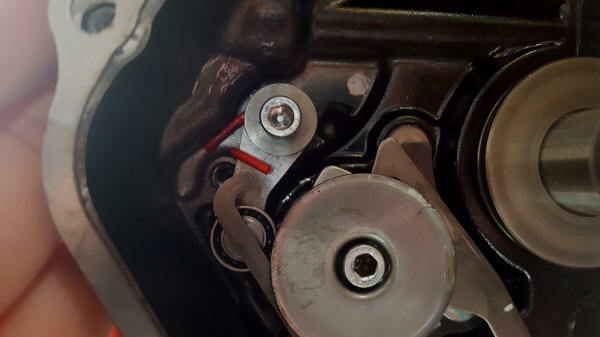 it has made a world of a difference and your tip on the clutch also is working amazingly.. no more slippage, miss shift or false neutral..this has been one of the best mods ever. Super compact, permanent, better than "factory", No loosening. Each missed shift stresses the gear engagement dogs and slots, bends shift forks and otherwise causes extreme shock loading to the entire drivetrain. And hurts lap times. This kit includes the new Factory Pro Microbearing Detent Arm and new F-Pro Shift Spring. Does not include clutch cover gasket. 1-2 hours to install. 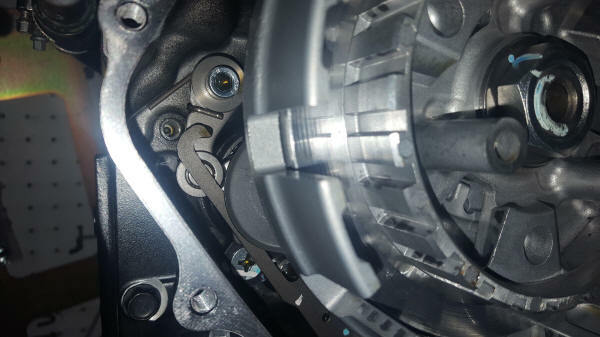 Requires that the clutch cover and clutch basket be removed and replaced. No case splitting required. pics courtesy of Juan Gooch. 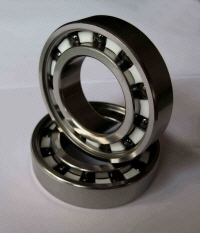 Tough steel races and almost friction free ceramic balls. The least gain I saw was 1% (JR's super loose built engine) and the most I ever saw was 4% (on a super tight street built engine). 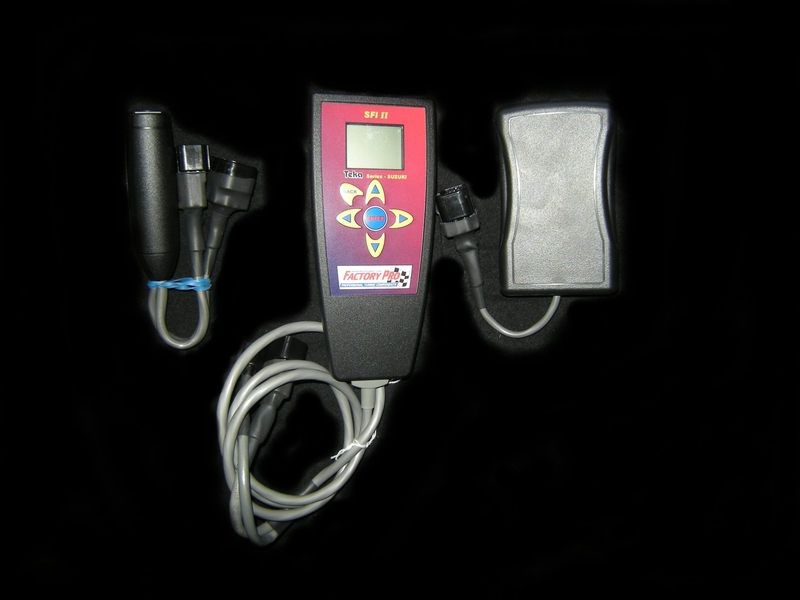 If you want best power, Autotuning is common, but isn't the best tuning method. Why autotuning is not the first choice of tuning methods. 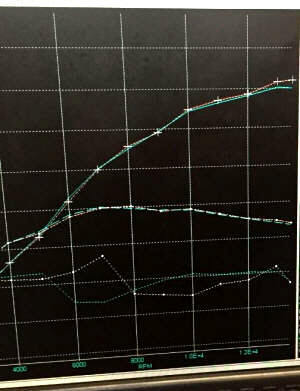 In the EC997 dyno chart to the right, the Blue line is power when "autotuned to an Air Fuel Ratio". 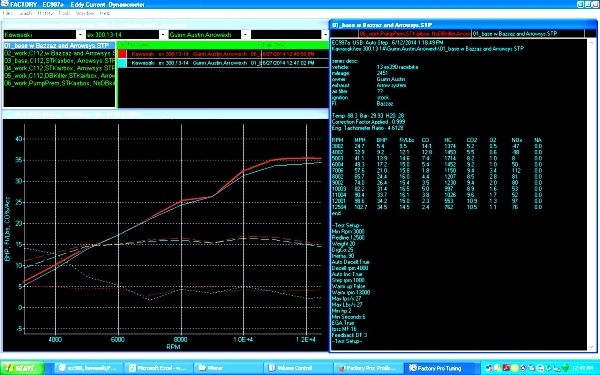 The Red line is retuned on an ec997 dyno, tuned to best power, 1.4 True hp / 4% better power at 11,000 rpm and more lowend. -10% fuel. A 60% error in tuning! Autotune: Not the first choice of tuning methods. In 1970, 1980, 1990, 2000, 2010 or 2017. The dip at 9000 is not carburetion or ignition timing, it's caused by a conflict in cam timing, crossflow, intake tract or exhaust dimensions.